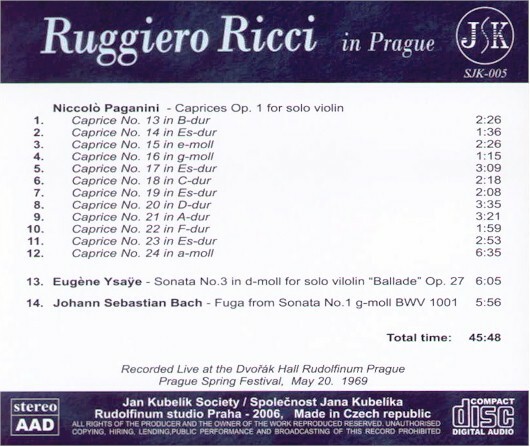 The CD "Ruggiero Ricci in Prague" presents the second part of the solo recital of Ruggiero Ricci at the Prague Spring Festival in 1969. During his recent visit to Prague, Ruggiero Ricci received honorary membership in the Jan Kubelik Society. I already wrote about the Jan Kubelik Society, whose moving force is the Concertmaster of the Czech Philharmonic Orchestra, Miroslav Vilimec, after the Society had released a compilation of archival recordings played by Prihoda, Drdla and Kubelik (SJK002). I have to express my admiration again, to this small circle of people whose ambition it is to commemorate the legacy of great violinists of the past and also to support current violinists. This group is able to bring out commercial CDs, whose production is not cheap. If only their enthusiasm were shared by other (even professional) companies, some of which are only getting weaker. In contract with current programs, solo violin recitals at the Prague Spring Festival used to be quite a regular feature. 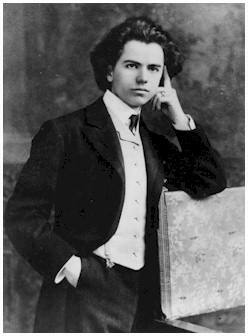 In addition to Henryk Szeryng or David Oistrach, for example, the name of Ruggiero Ricci holds an honored position in the records of the Festival. 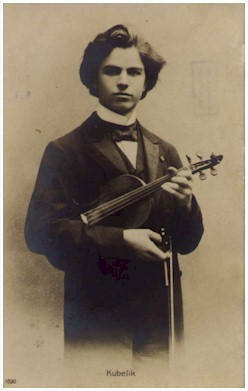 Years ago, due to his technical abilities, he was regarded as the ideal interpreter of music by Niccolo Paganini. This fact is proven in the first half of his (Ricci's) Caprices op. 1, which he performed in 1969 during his recital. Ricci's technical interpretation is fantastic and in some places the speed of his fingers takes ones breath away. Keep in mind that we are listening to a truly live recording and the intonation, for example, cannot be as perfect as it is on his recording for EMI. Ricci plays the Fuga by Bach in a very expressive way, he uses very sharp articulation. This was common in his time. The best track of this CD is the Third Sonata by Ysaye. Such a recording speaks to listeners even after forty years. Here is the kindled sensibility and romantic engagement suitable for such a work. Even though I know interpretations that are completely different technically, this is a very moving recording, which is even more interesting than Ricci's own recording for the label KTC-Etcetera. If I continue on the subject of violin playing, there were many key recitals during the sixty-year history of the Prague Spring Festival and many of them must have been recorded. I hope that in the future a company will appear and (after careful re-mastering) start publishing all of these recordings.